Fine Polish | May all your nails have a Fine Polish. May all your nails have a Fine Polish. I know I’m posting this tutorial a little late, but at least it will be a reference for future Easters to come! After seeing the Easter bunny around town a few times, I decided to make some Easter bunny nails that didn’t look as creepy as the ones that I saw! Seriously, some of those bunnies are terrifying! To start, I painted 3 coats of LV010 from Ünt. 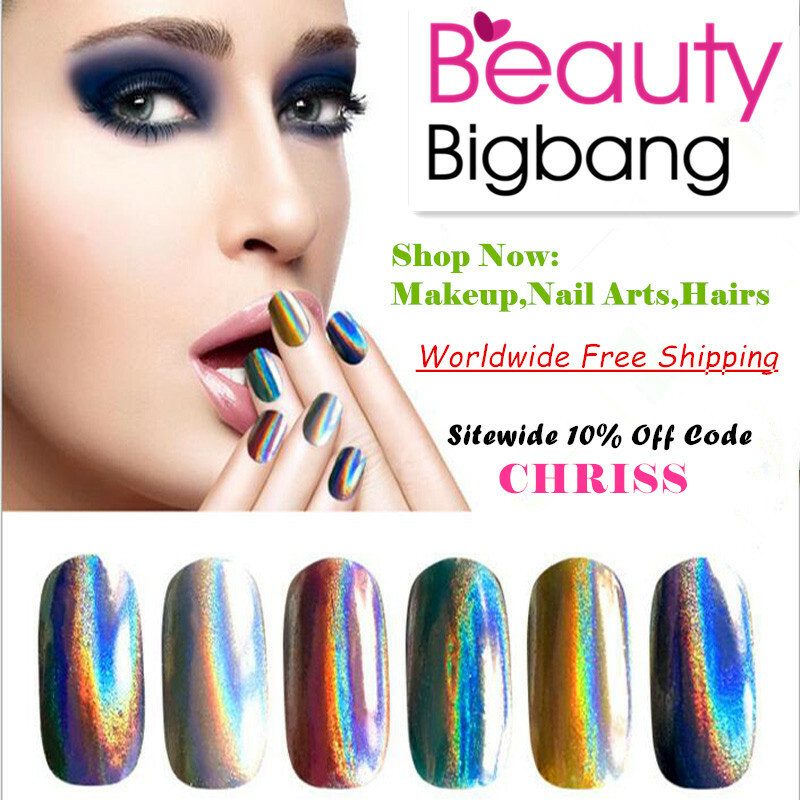 This company is best known for their legendary peel off base coat, a product that I use in combination with a lot of my gel manicures to make them easy to remove seeing as I change my polish quite often, but they also have a full range of colors and cosmetics. This beautiful light pink polish dried with a vinyl finish, but it also took forever to set and was streaky for the first 2 coats. If you have a lot of free time to do nothing, this is a good polish, but it definitely does not dry in a New York minute. It was disappointing considering how well loved their Ready for Takeoff base coat is. This beautiful swatch of LV010 from Unt needed a lot of time to dry, and it still wasn’t fully set when I started doing the rest of the nail art. Oops. Today we’re going to look at a thermal crelly polish from Born Pretty from the same Glitter Thermal collection that the color Cloud of Purple Sky came from. Today’s color, Cerulean Stars, is a beautiful light blue when cold and turns into a mostly clear jelly with glitter when warm. This small 6 mL bottle doesn’t include a mixing ball, so it’s a little hard to make sure the formula is agitated thoroughly. Today we’re going to look at the Chinese Style L005 stamping plate from Born Pretty. At first glance, you will think that this plate is only good for Chinese New Year, but it can be used for all sorts of manicures. The plate arrives in a cardboard sleeve, and the metal portion is covered with blue plastic film that must be removed before using it. I love seeing all the flowering trees in the spring! NY has only started seeing cherry blossoms come out because of our crazy long winter this year, so this manicure was inspired by their beauty. 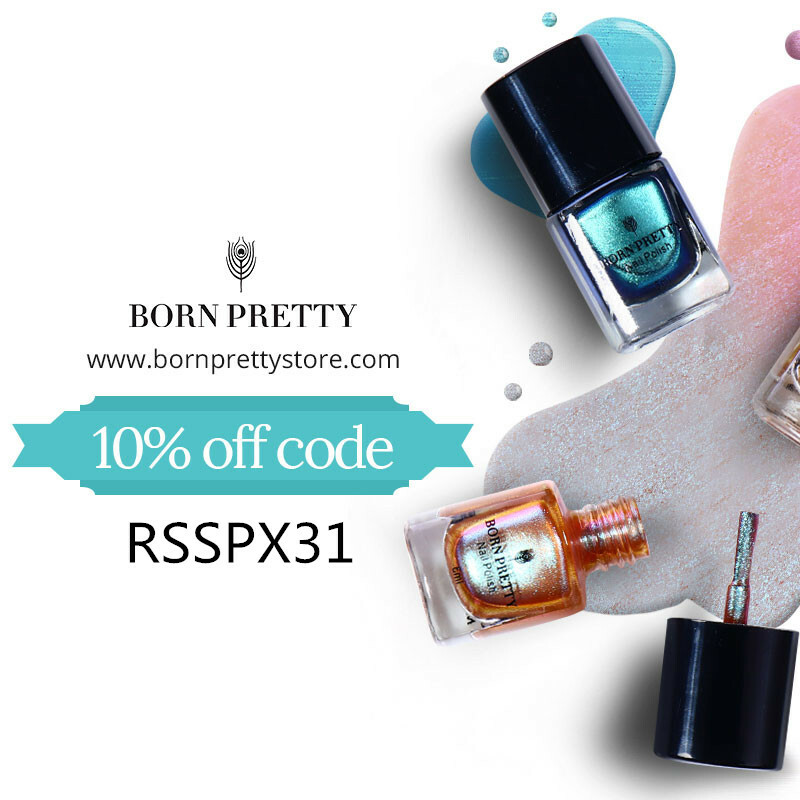 I started by painting my nails with Born Pretty’s BP-GT05 Cerulean Stars glitter thermal polish. I applied 3 coats to try to get more opacity in the color as it is a pretty pale sky blue when cold and more glittery and clear when warm, but it’s still a very sheer shade. Today’s review covers some of my favorite things: glitter, color changing polish, and peel off ability! Would you believe that you can get all of this out of one product? This magical polish comes from Born Pretty’s Glitter Thermal series, and the color featured here is BP-GT02, Cloud of Purple Sky. It is a beautiful lilac shade when cold and turns platinum silver when warm. There’s a typo on the box: it should read “Cloud of Purple Sky” as the name of the color. I love spring’s soft pastel colors and seeing trees blossoming everywhere. While everyone else is doing cute Easter manicures, I’m reveling in some sophisticated floral patterns. I started by painting my nails with 2 coats of Born Pretty’s BP-GT02 Cloud of Purple Sky thermal polish. It looks like a breath of fresh air with its shimmery lilac and platinum tones and forms the perfect gradient for flower petals for this manicure. Cloud of Purple Sky from Born Pretty is lilac purple when cold and platinum silver when warm. April always gives me anxiety because taxes are due on April 15 in the US. When I painted this manicure, I hadn’t finished filing yet. I wished the forms would just disappear, so I created this vanishing manicure with the help of a thermal top coat. I don’t have an exact match for the blue color of the 1040 tax form, but Julep’s Matilda was a close enough option. I painted 2 coats of this pretty sky blue creme polish on all of my nails.